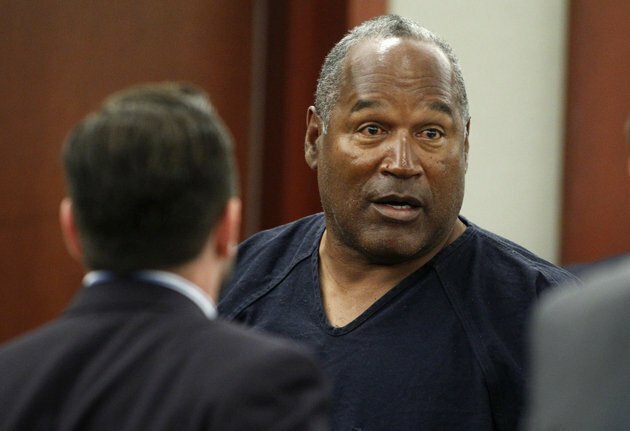 OJ Simpson has been caught stealing cookies from the cafeteria of the Nevada prison where he’s been sentenced to spend more than three decades for armed robbery. A prison report said guards noticed OJ Simpson leaving the cafeteria with something hidden underneath his clothes, and when they checked it out found more than a dozen oatmeal cookies. “Everyone thought he had smuggled in a cell phone or some other kind of contraband, so when the guard started pulling cookies out of O.J.’s shirt, the other in­mates started laughing so hard they nearly fell over,” a source told the National Enquirer. OJ Simpson is a severe diabetic, and doctors say he could be dead in months if he doesn’t tighten down his eating habits. The former NFL player turned actor has reportedly ballooned to more than 300 pounds and suffers high blood pressure. A source close to OJ Simpson says getting his health in order may not be as easy as it seems. He has been trying to diet, but food is one of his only enjoyments in prison. OJ Simpson may have a chance to turn his life around if he can keep his health in check long enough. This summer he won an appeal to gain parole on some of his charges, though he is likely to remain in prison for at least four more years. OJ Simpson was able to avoid punishment for his cookie-stealing incident as the guard who caught him took the stolen cookies away and let him go with a warning.